These two novella/memoirs by Colette are fine examples of well-written books that appear to do exactly what they set out to do but that still fail to engage me. I can see that the writing is lovely and effective at conjuring up a sense of place and character, but I just couldn’t bring myself to ever care very much. Because there’s just no narrative through line to capture my interest. My Mother’s House (translated from French by Una Vincenzo Troubridge and Enid McLeod consists of a series of short vignettes, most about four pages long, about Colette’s childhood, with a focus on her mother, known to the family as Sido. 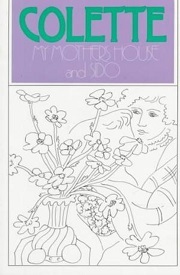 The second book in the volume, Sido (translated by Enid McLeod), consists of three character studies—of Colette’s mother, father, and brothers. All was faery and yet simple among the fauna of my early home. You could never believe that a cat could eat strawberries? And yet, because I have seen him so many times, I know that Babou, that black Satan, interminable and sinuous as an eel, would carefully select in Madame Pomie’s kitchen garden the ripest of the Royal Sovereigns or the Early Scarlets. He is was, too, who would be discovered poetically absorbed in smelling newly-opened violets. It paints a vivid picture, but that’s almost all the book is, vivid pictures that don’t go anywhere much. Each vignette operates not like a short story but like a painting, a moving painting, yes, but one without much action. I don’t generally consider myself a person who needs a lot of plot to enjoy a book, but I’ve come to appreciate a good story more and more in recent years. And a total lack of story just doesn’t work much. So what I’m wondering now is whether this style is typical of Colette’s work. 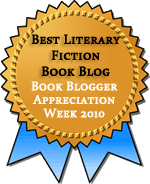 Do the Claudine books, for example, have more of a story? I liked the writing enough that I’m open to trying more, but if all her books are like this, she may not be a writer for me. I am studying French and recently read “Chéri” in both English and French. I haven’t read a lot of Colette’s other work (in either language) but I thought this was a remarkable piece of writing for its subtlety and insight, not to mention the way it captures a time and place so well. And it does have some plot, ha! I got a kick out of your thoughts on these writings and tend to agree with you. Her writing is wonderful! I’ll add Chéri to my list of options for when I want to try again. These are two of my favorite books, and I’ve never really thought about their lack of story, maybe because I think of them more as memoir. I’d probably argue that there is a story, but it’s kept in the background, and the reader isn’t enlightened — why the oldest daughter is estranged from her mother and stepfather, for example, or the specifics of the financial problems Colette’s father had or other underpinnings to people’s behavior that are never explained. Unfortunately, I can’t give you any other recommendations because I haven’t been crazy about any of her fictional books so I stopped reading them and stuck to her memoirs and atmospheric pieces. Hopefully someone else can help. I suppose, for me, I like memoir to have a bit more of a narrative than this did. The parts of this I liked best were when there were hints of story, as in the vignette about her sister. But from what you say, it sounds like her fiction is quite different, so maybe I’d like that more.